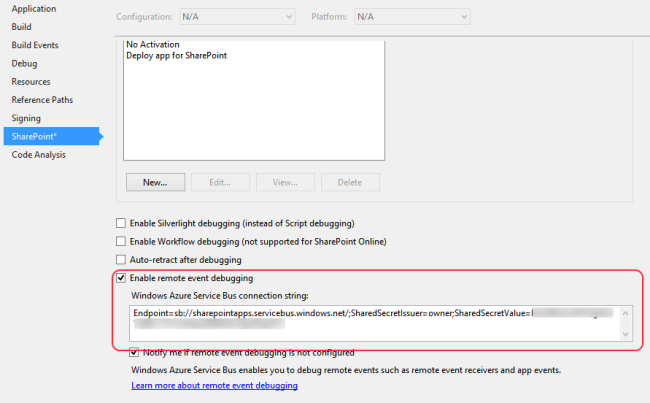 In this post, I will talk about how you can debug remote events within a SharePoint 2013 App. Especially with the Autohosted App Model (I made a post about that a while ago). Let me first start with a small and really easy to understand app that I will use to highlight the topic of this post. 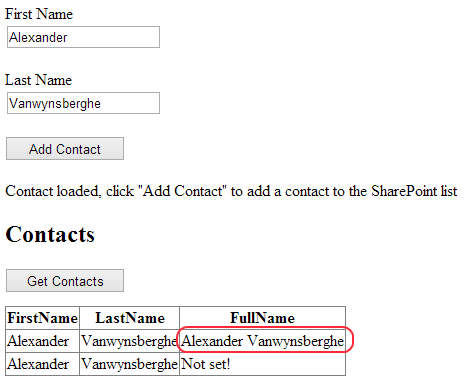 As you can see, the “FullName” contains the text “Not set!“. That’s correct, I only provided my first and last name. 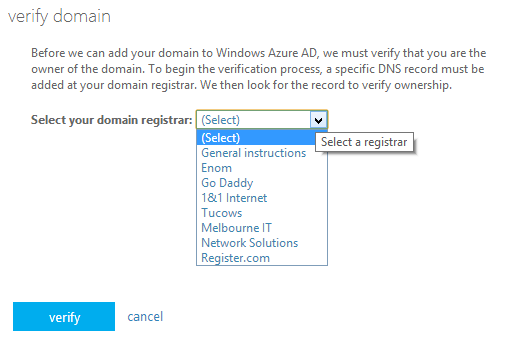 But I want my full name to be “managed” by a remote service. And that’s where this post is all about. Finally! What I want is a remote event receiver that will be triggered when a new contact has been added. 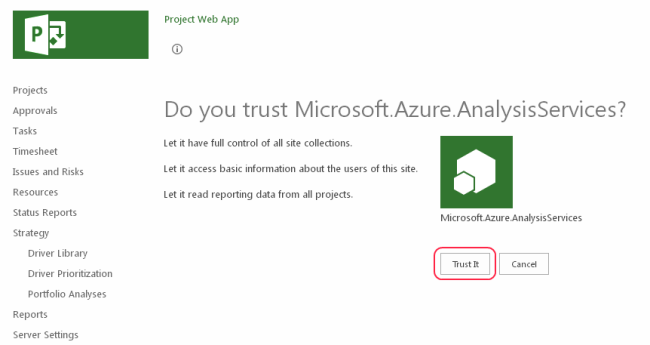 Add one to the SharePoint project. 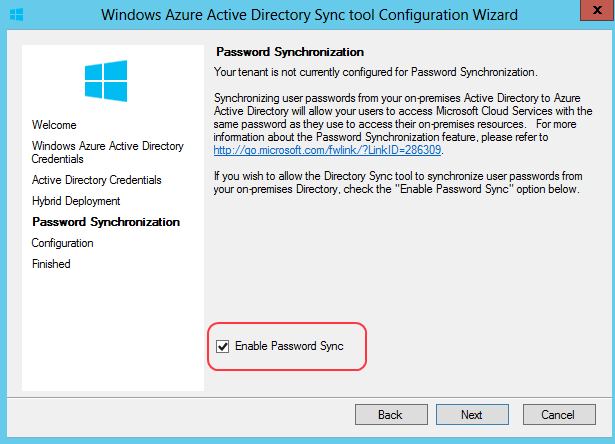 Right-Click and select “Add – New – Remote Event Receiver”. Call it “Contact List“. 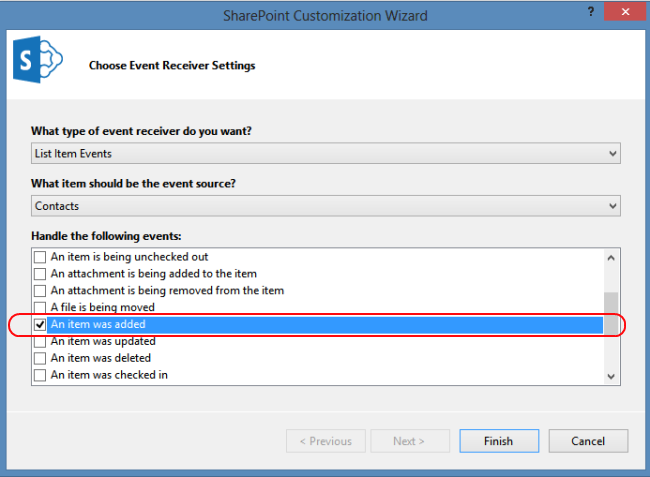 You need to select the type of event on which the event receiver needs to do something. Select “An item was added“. What it actually will do is get the ClientContext and get my first and last name that I submitted. 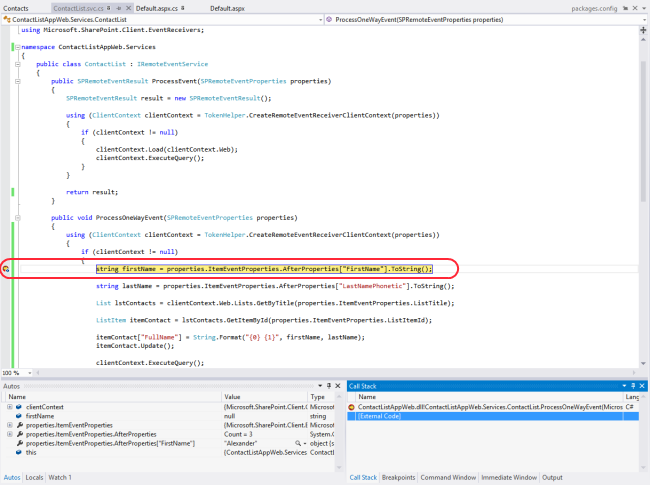 It will than perform a string merge and add it to the “FullName” of the ListItem. Nothing fancy. So, why don’t we just hit F5 and check it out? You will soon find out that it will not work, the service is not being called. You can try to add a breakpoint, and you will see that it will be ignored. But why? 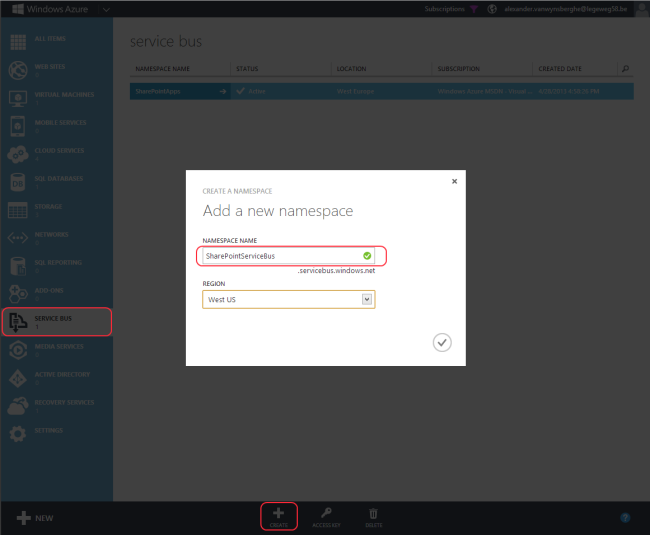 The Windows Azure Service Bus provides a hosted, secure, and widely available infrastructure for widespread communication, large-scale event distribution, naming, and service publishing. 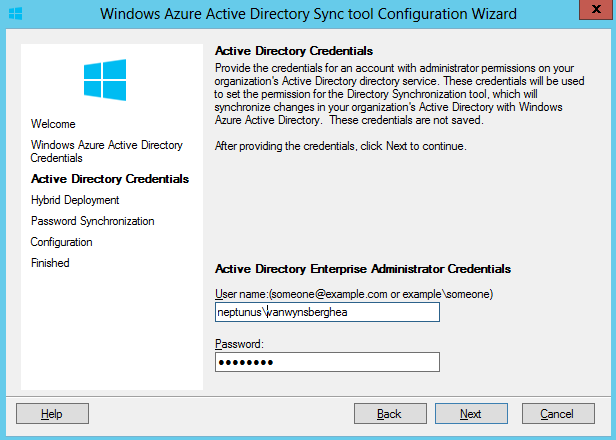 The Service Bus provides connectivity options for Windows Communication Foundation (WCF) and other service endpoints – including REST endpoints — that would otherwise be difficult or impossible to reach. Endpoints can be located behind network address translation (NAT) boundaries, or bound to frequently-changing, dynamically-assigned IP addresses, or both. 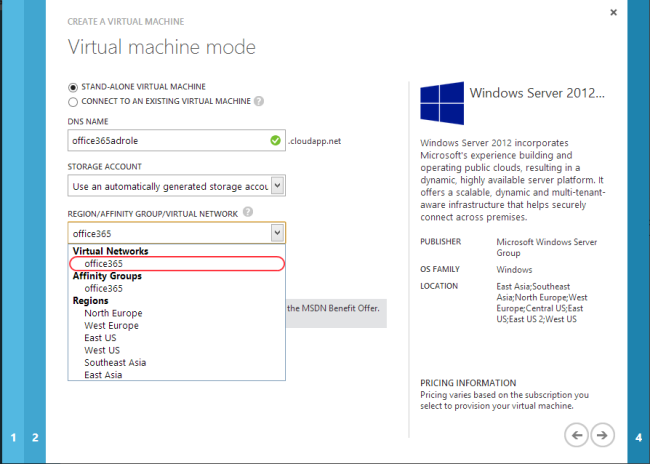 In other words, the Windows Azure Service Bus allows you to expose our local WCF service to the “outside world”. And that’s exactly what we need! 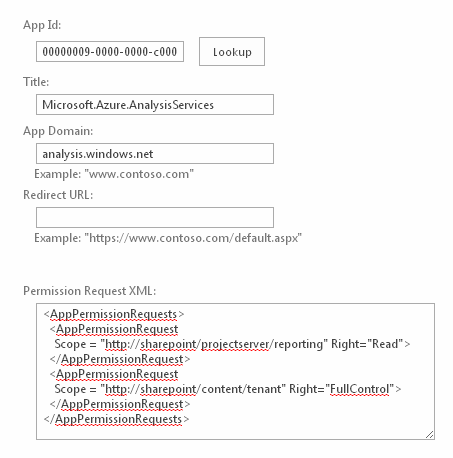 All you have to do is get yourself a Service Bus instance and enable this feature in the SharePoint App project properties. 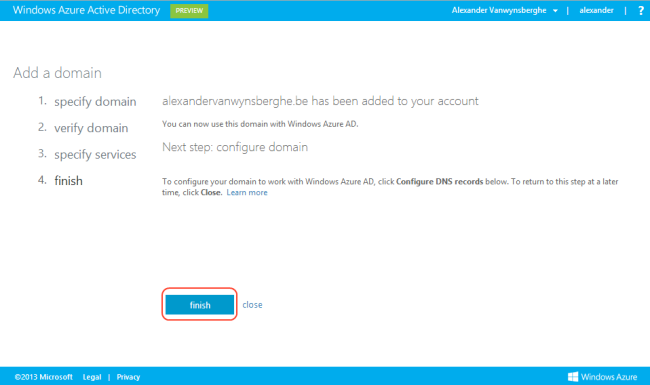 You can get a Windows Azure Service Bus instance using the Windows Azure Management Portal. On the left side, click on “Service Bus” and click on the “Add” sign on the bottom of the page. Add a name, and finish the wizard. 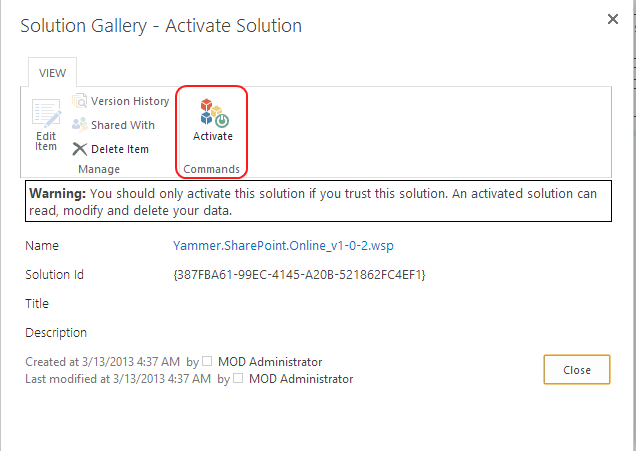 In this post, I will show you how easy it is to integrate your yammer feed into a SharePoint Online site. 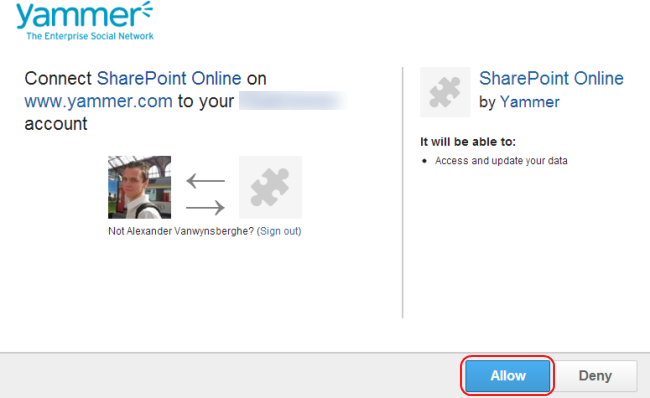 I’ll be making use of the “Yammer Web Part for SharePoint Online”. 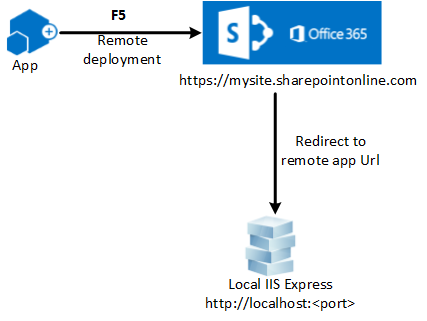 Note that this does not cover the way SharePoint and Yammer integrate when you’re using an on-prem installation with the “full blown” web parts like described here. 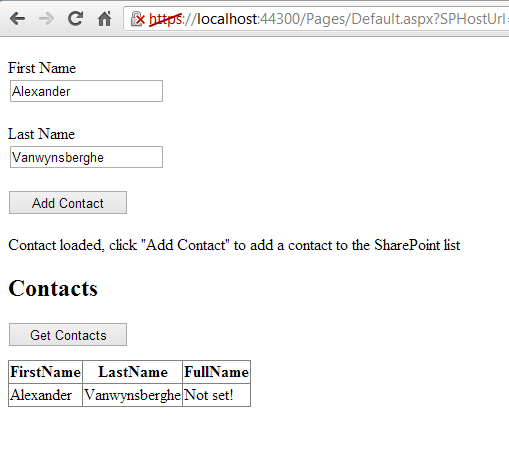 Those web parts are only available for SharePoint 2007 and 2010. 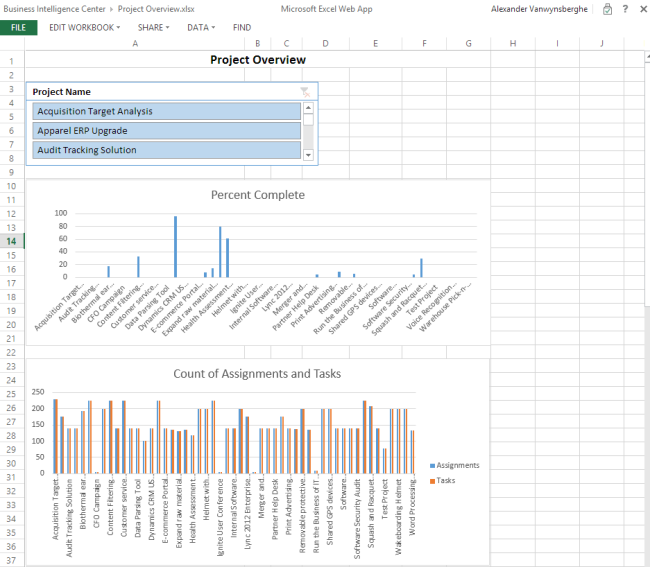 In fact, I’m still figuring out what the integration options will be for SharePoint online (and Office 365). 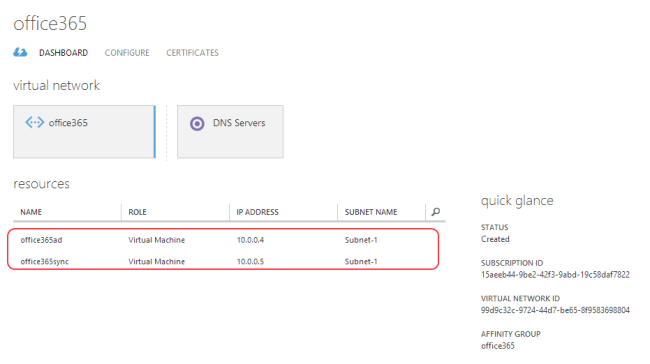 Now we can upload this solution to your SharePoint Online instance. 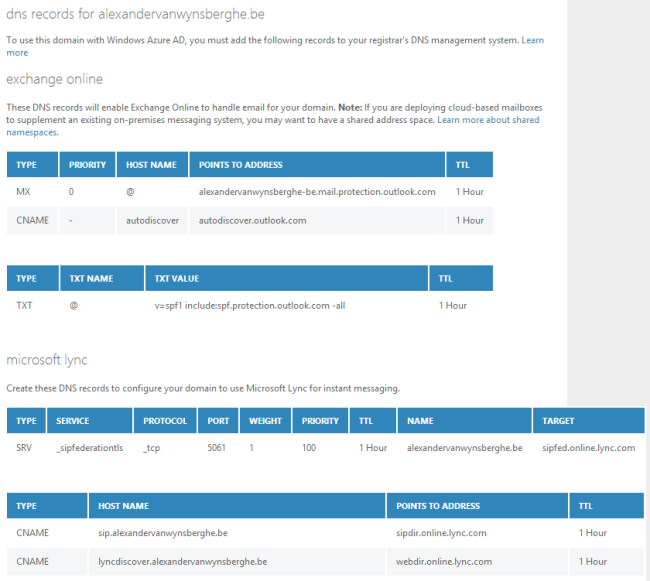 Browse to the URL of your site collection, like http://instance.sharepoint.com/sites/contoso. 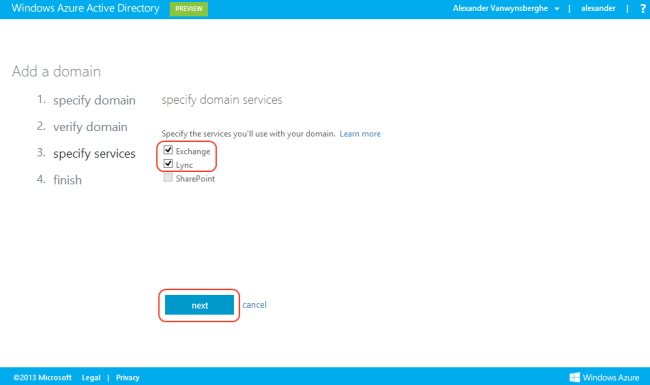 Click ‘Settings – Site Settings’. In the ‘Web Designer Galleries’, select ‘Solutions’. Browse to the web part you have just downloaded. 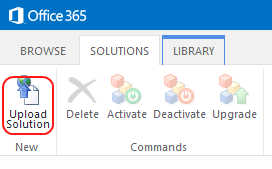 After a successful upload, don’t forget to “Activate” the solution. The next step is to integrate this web part on a page you want your feed to be visible. Just browse to a page and edit it. On the place you want, click “Add Web Part”. Select “Yammer” in the categories section. There you have the web part. Just click on “Add”. 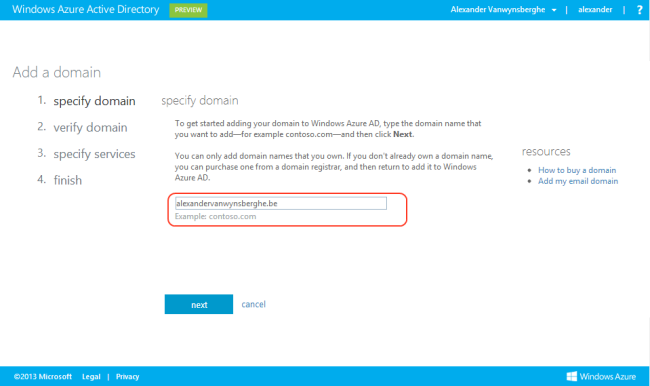 The only thing you have to do now is configuring the web part. 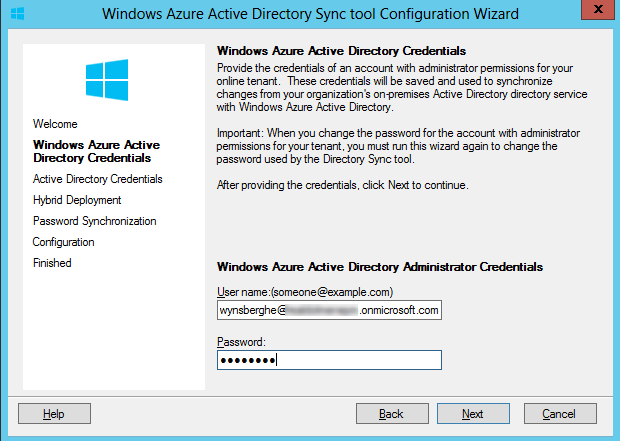 Click on the wrench in the top right corner and authorize with Yammer. Note: be sure that the page is still checked-out to you. 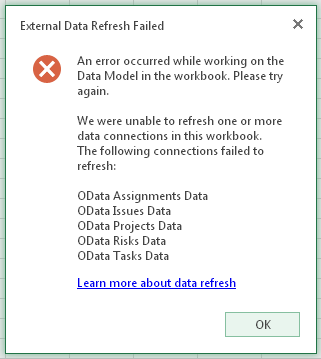 Otherwise, you will get a nice “Oeps” error from SharePoint. Now you can select the feed you want to show. This can either be the “My Feed”, “Company Feed”, “Group Feed”, “User Feed” or a “Topics Feed”. Select the feed you want, and there it is, your feed. 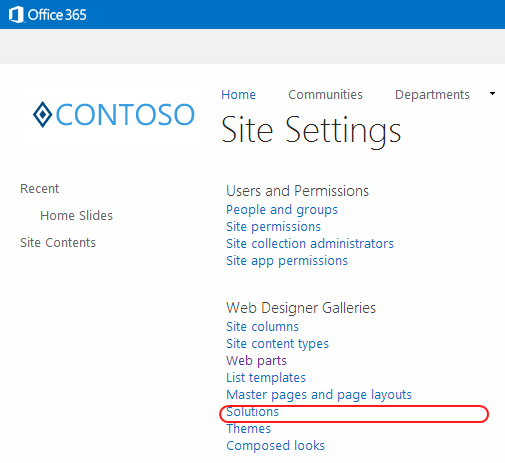 So it’s not a big deal to get your feed on SharePoint Online. But to be honest, I do not see any value of it. 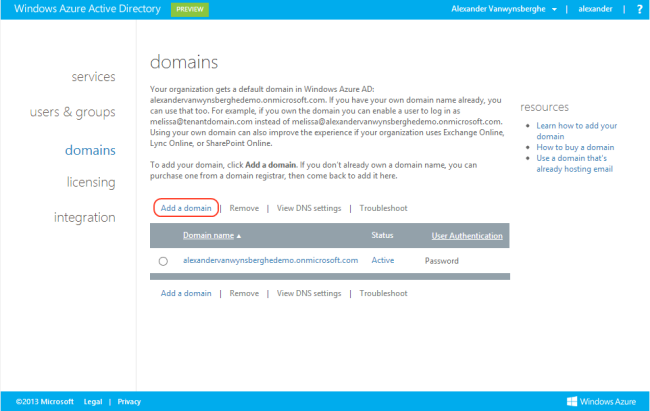 SharePoint Online (2013) itself already has some awesome social features. 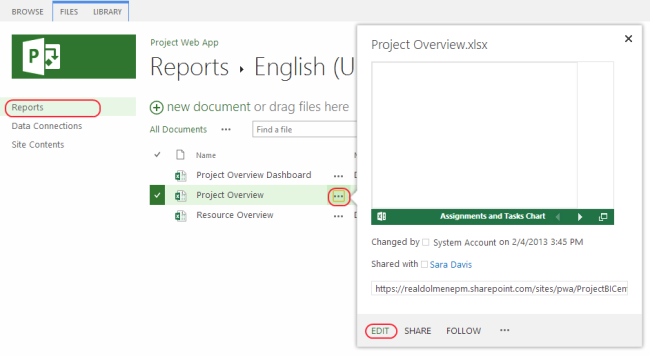 I’m really looking forward to some more in-depth integration of Yammer and SharePoint Online like the integration with SkyDrive Pro and Office Web Apps. That’s great, let’s create one. Click on the “Create Demo” link on top of the page. 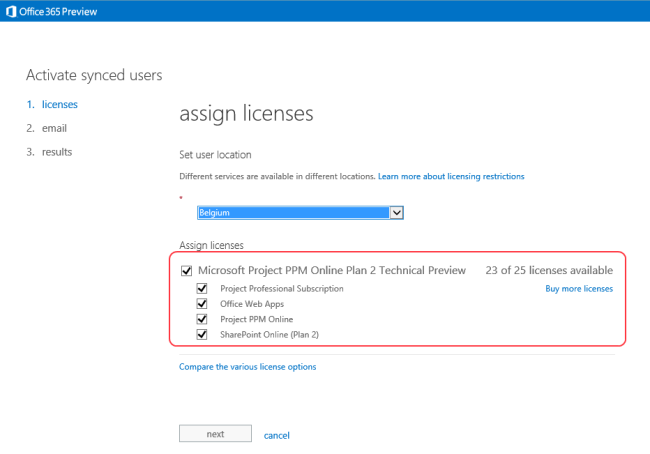 You will now see the options of the demo environment like the type of Office 365 Tenant, the demo content and the demo language. As for now, it looks like you cannot change the options. I guess that there will be some more options available in the future. Click on “Create Your Demo”. You can now enter a tenant name and type the correct robot number. That’s all you have to do. If you read the questions from the FAQ section, you will see that the process will take 8 to 36 hours, depending on service availability. 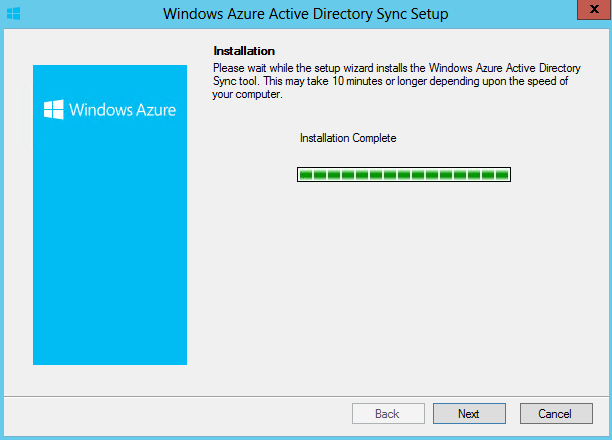 You will receive a completion email when the content provisioning process has been completed. You can easily check the status of your tenant by entering your tenant name in the ‘Domain’ box. 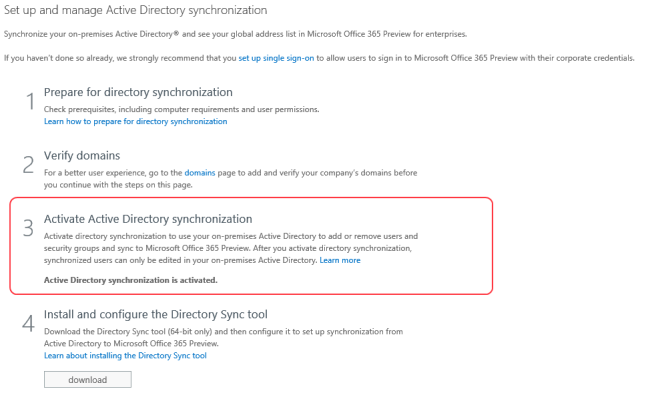 (Or use the link in the email did receive after you registered your demo instance. 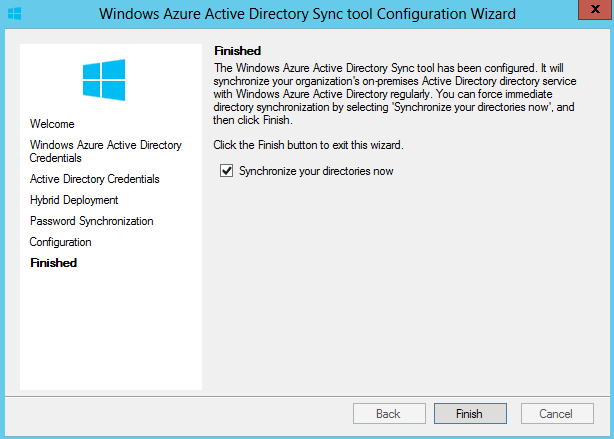 Having a demo environment is one thing, showing the new goodies are another thing. That’s where the demo guides and documents come in. You can find an impressive list of guidance documents by clicking on the “Resources” link on top of the page. Thanks to the Office team for making this available!